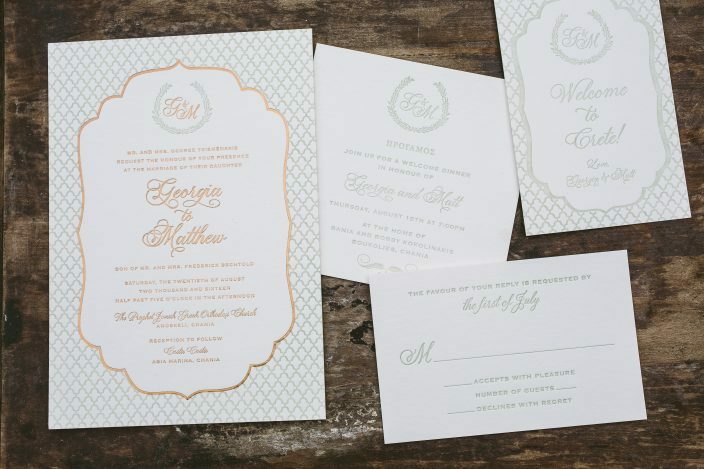 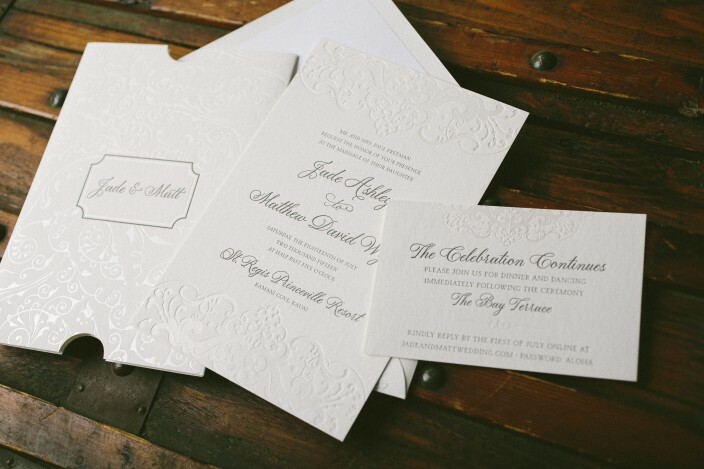 Jade and Matthew combined two of our designs to create their elegant wedding invitations. 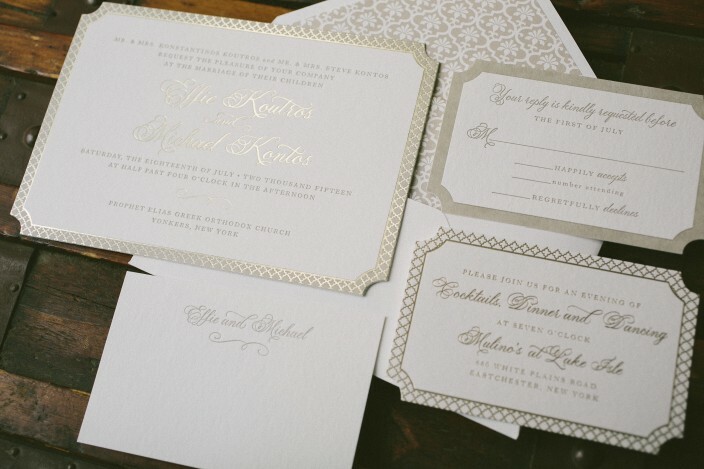 Their invitations and combination reply + reception cards feature our Galena design, with design accents highlighted in subtle pearl shine foil. 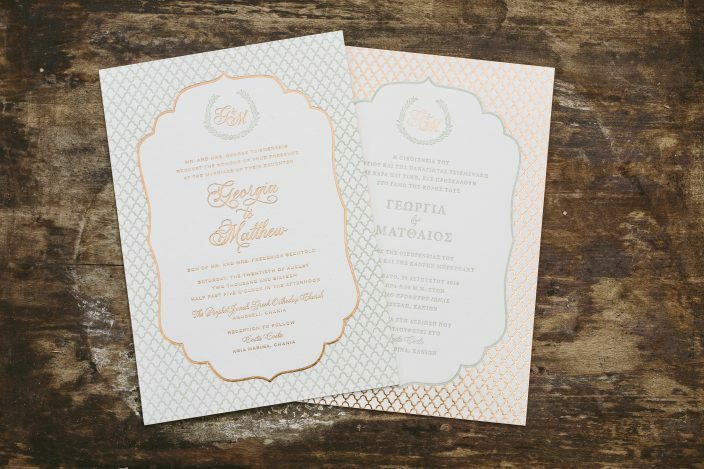 We created a Gosford stlye invitation sleeve featuring the names of the bride and groom inside of a simple cartouche and surrounded by the pattern from our Avella design. 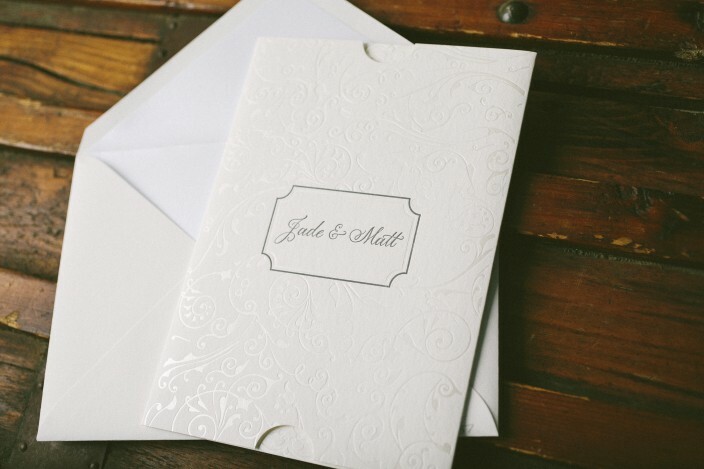 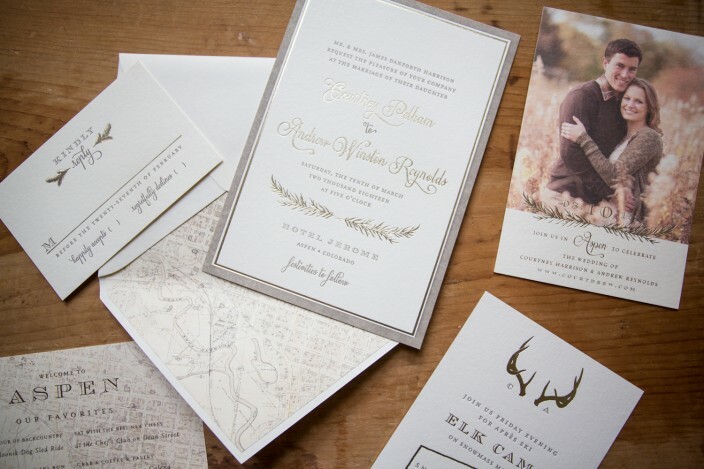 Metallic glass envelope liners added a final hint of shimmer to this timeless set. 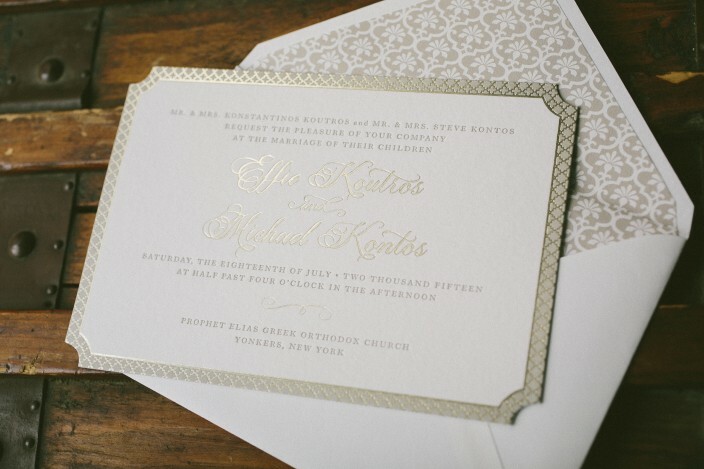 Our Halifax design took on a glamorous new look for Effie and Michael’s elegant summer wedding. 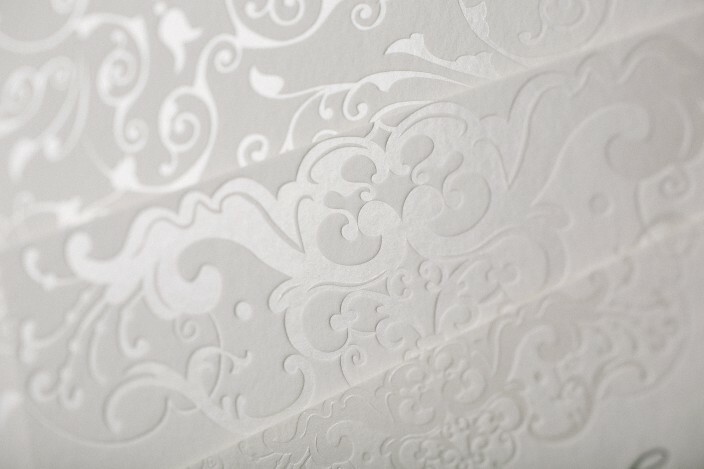 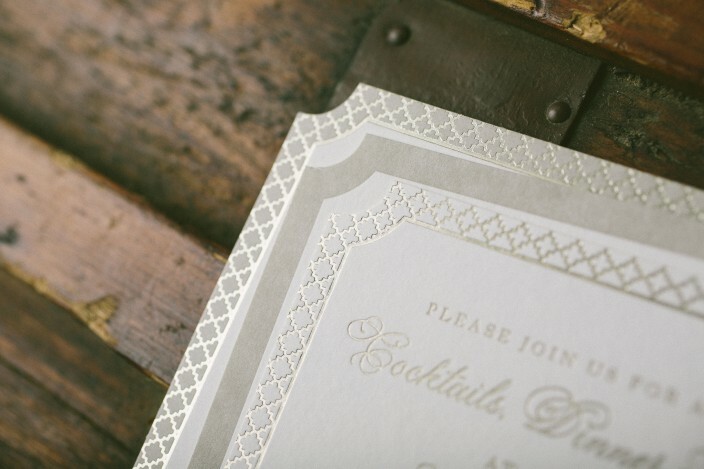 We created a solid letterpress border around the invitation, then foil stamped a quatrefoil styled pattern on top. 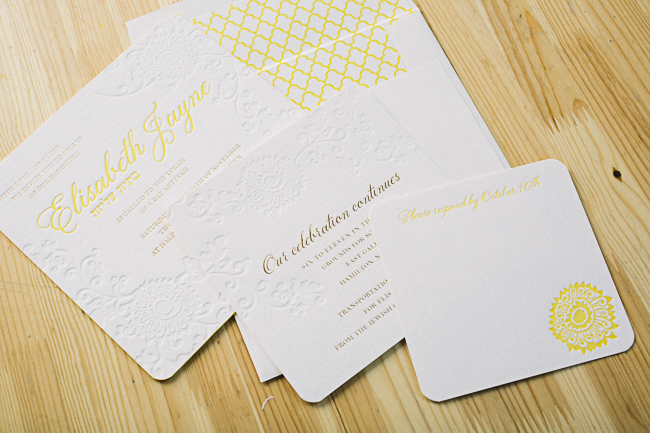 The reply card and reception card both mimicked the invitation, with the former picking up the letterpress border and the latter using the same foil border, making for a cohesive set across the board. 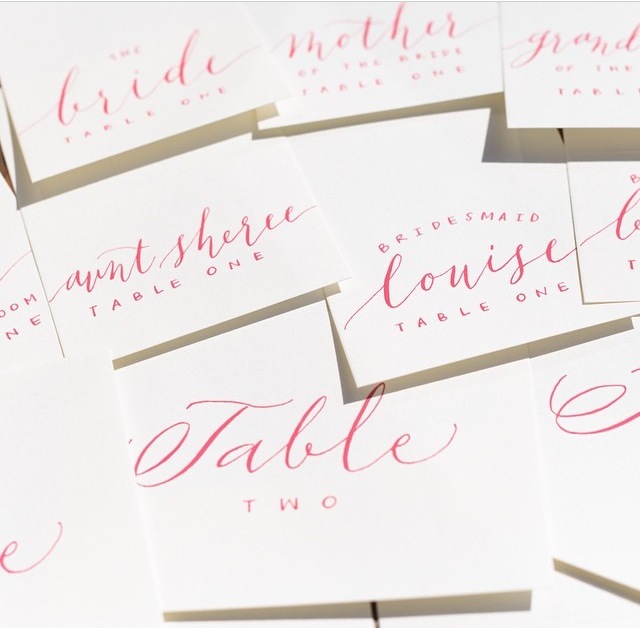 We letterpress printed flat social notes featuring the names of the bride and groom in our Plaza calligraphy font by Sarah Hanna to round out the couple’s stationery suite. 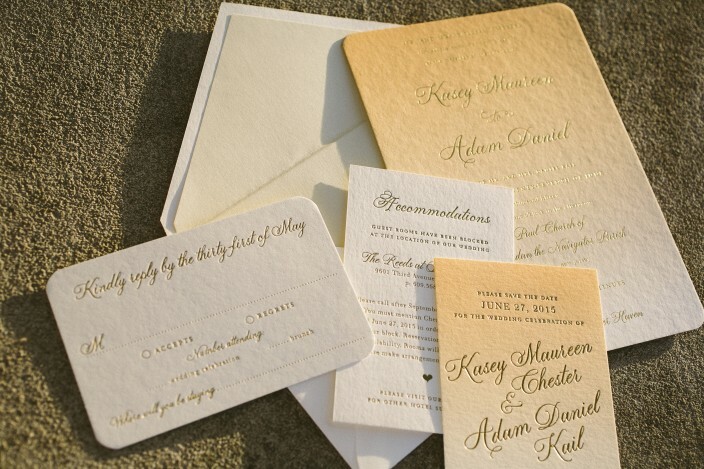 letterpress ink: jute | foil color: tawny matte | fonts: Smock Plaza + Wallis | paper: 1-ply + 2-ply white | size: S-8 + S-5 | die-cut: belmont | envelope liner: grayling pattern in jute | customization #28262 | Yes I Do! 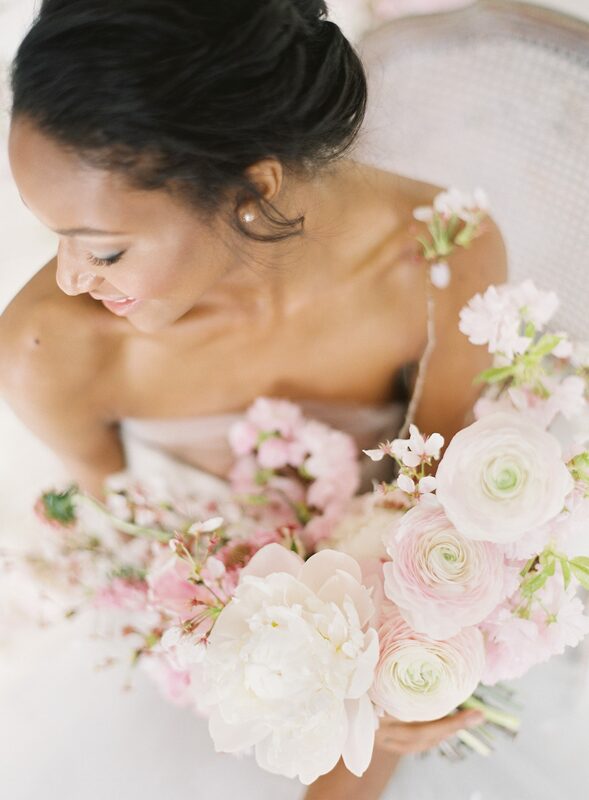 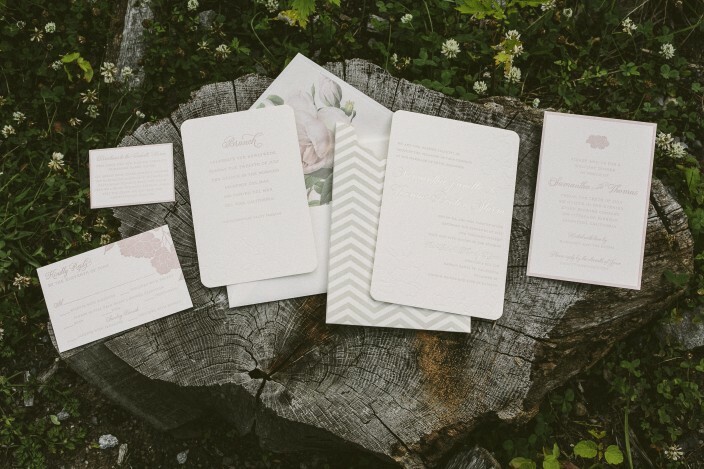 Samantha and Thomas selected a romantic blush color palette for their July wedding. 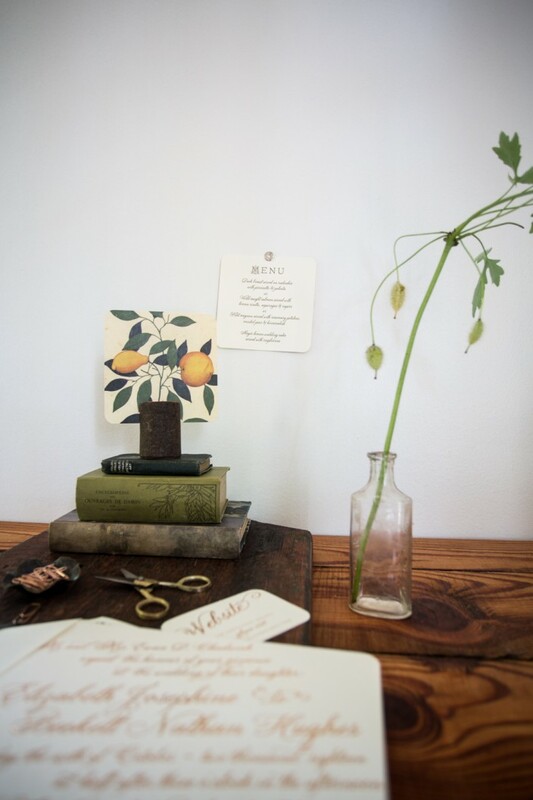 The couple celebrated at the bride’s family home, and worked with Sweet Paper to customize our Chapman suite. 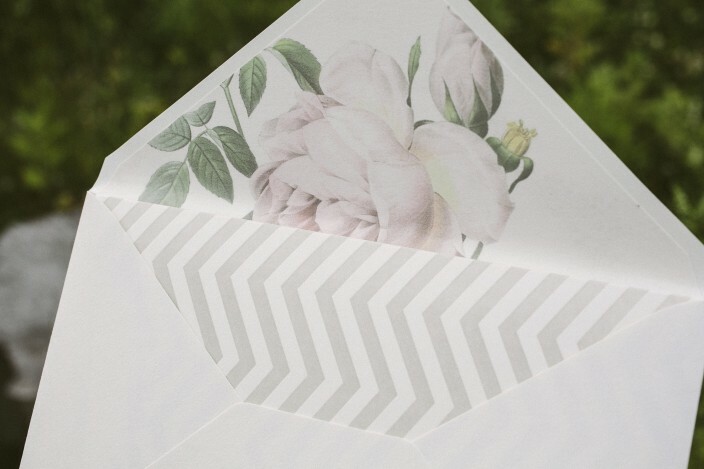 We created chevron invitation sleeves to contain their set, which included invites, reply cards, brunch cards, direction cards, and welcome dinner invitations. 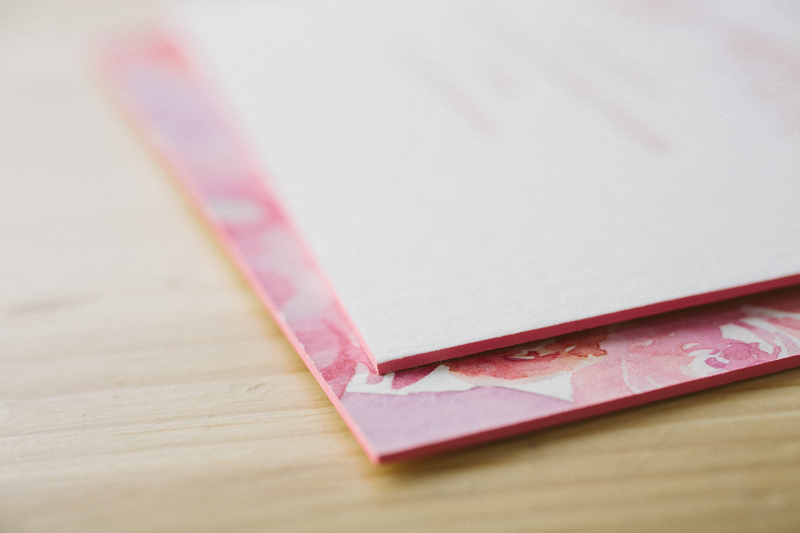 Finishing touches included our pink vintage rose patterned envelope liners and corner rounding for a soft, polished look. 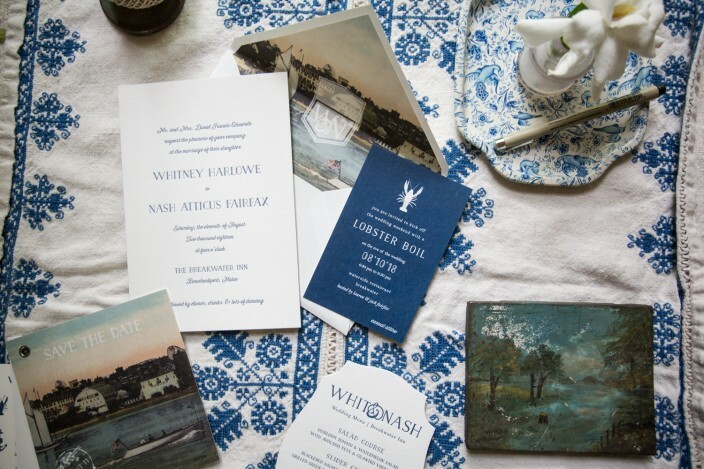 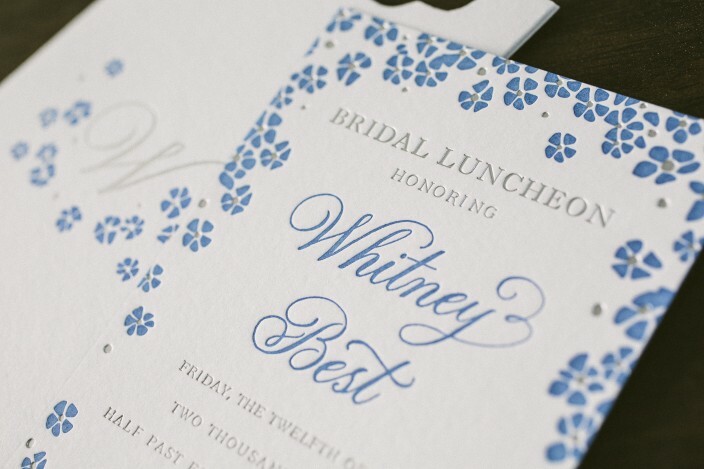 We worked with Lydia at No Regrets to create Whitney’s pretty blue bridal shower invitations. 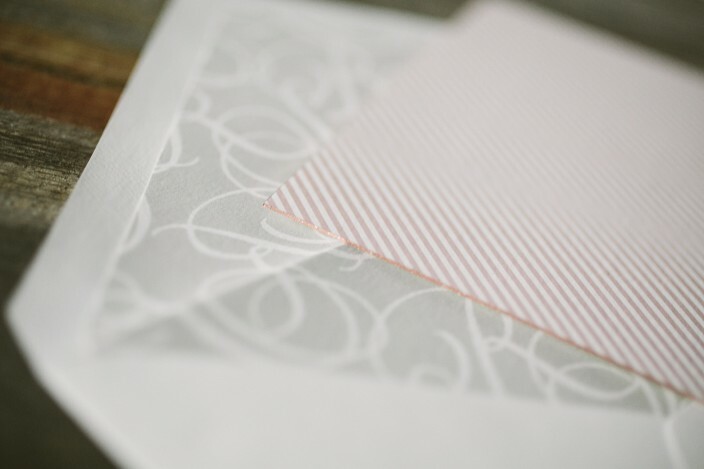 Inspired by these recipe shower invitations, Whitney’s invitations featured our Keira design in royale ink with silver matte foil stamping. 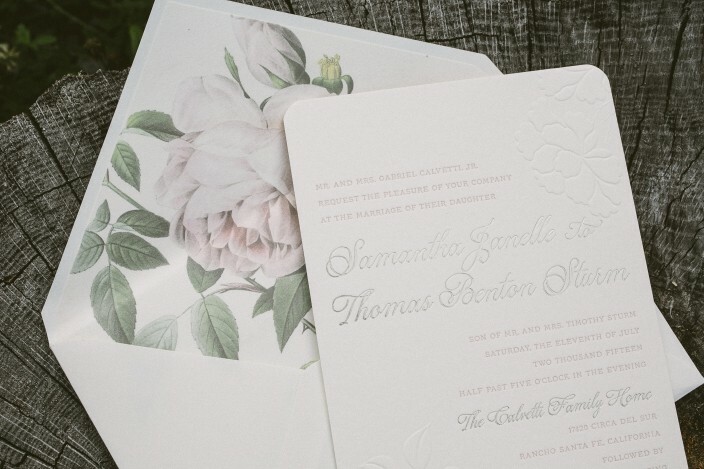 The invitations were sent inside a sweetly monogrammed invitation sleeve, and we created silver foil stamped envelope liners as a finishing touch for the set. 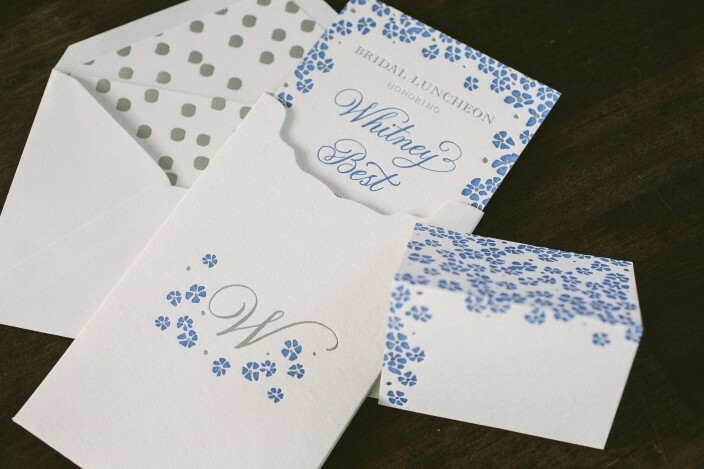 We also printed matching place cards to carry the theme through to the day of the luncheon. 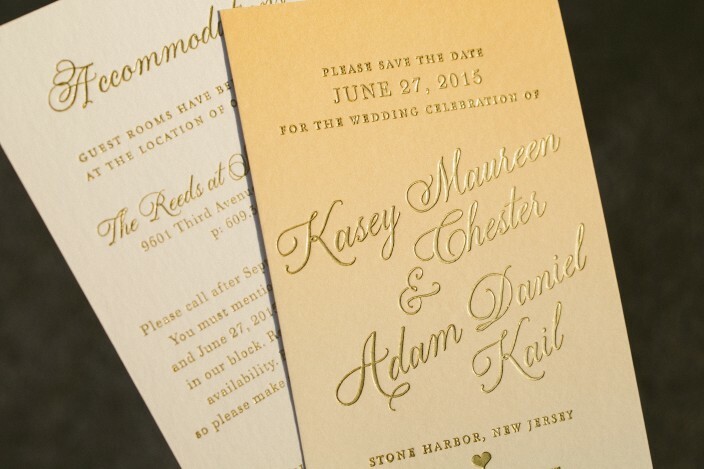 We created matching save the dates and ombré wedding invitations using our Spence design for Kasey and Adam’s Stone Harbor wedding celebration. 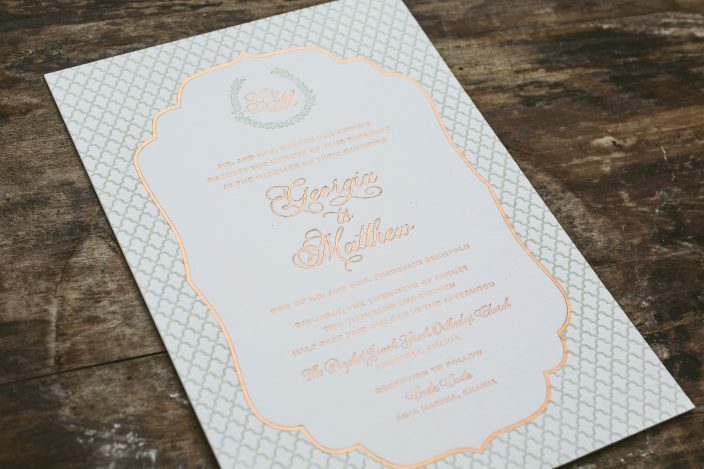 The entire set was printed with gold matte foil, and the main two pieces included a pretty peach ombré fade. 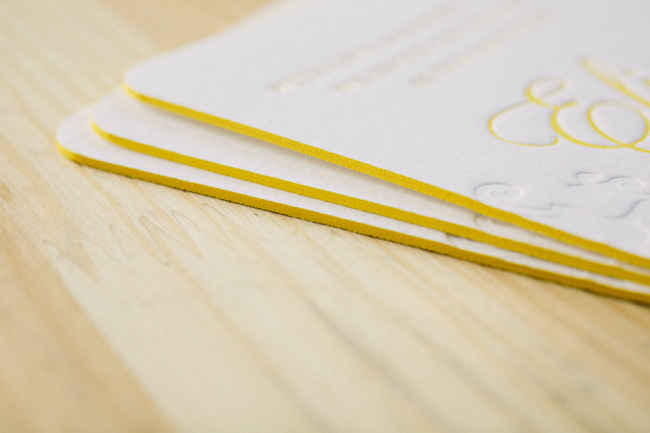 We duplexed the invitations to make them ultra thick, then added corner rounding and gold matte foil edging for a polished finish. 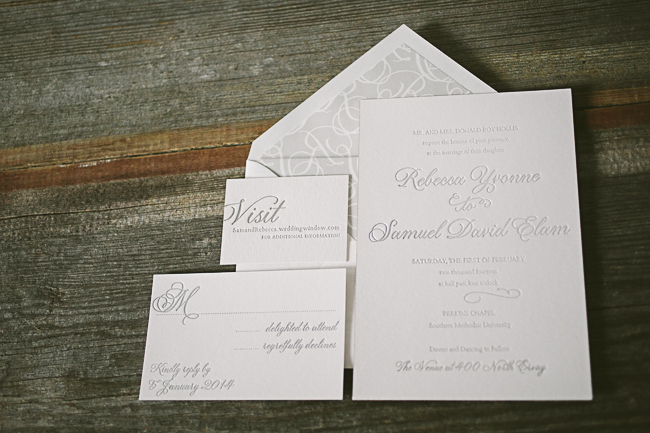 Rebecca and Samuel chose a soft color palette for their winter wedding in Dallas. 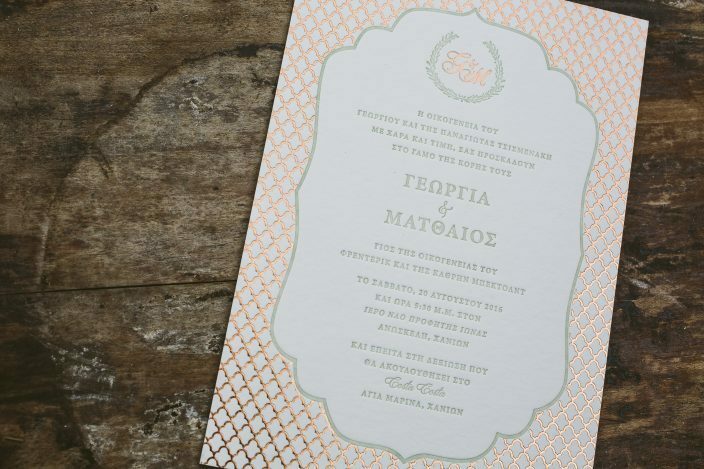 They customized our Fitzroy design with silver matte foil for their wedding invitations, opting for a rose gold foil edge and shell back patterning to add a feminine touch. 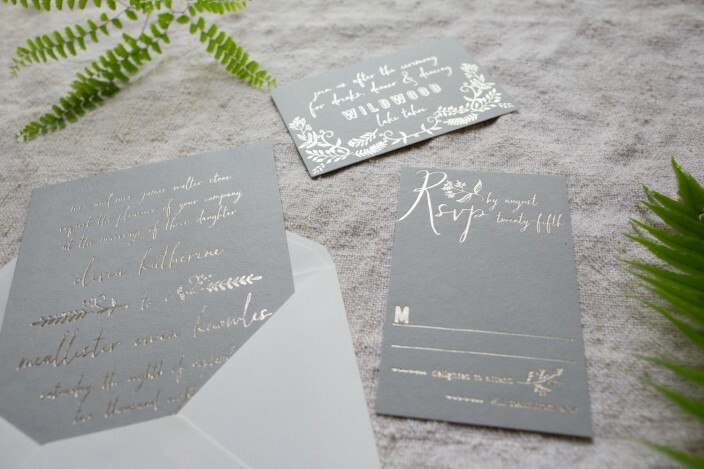 Their initials were intertwined throughout their design inspired envelope liners, which were digitally printed in dove ink and complemented the silver foil beautifully. 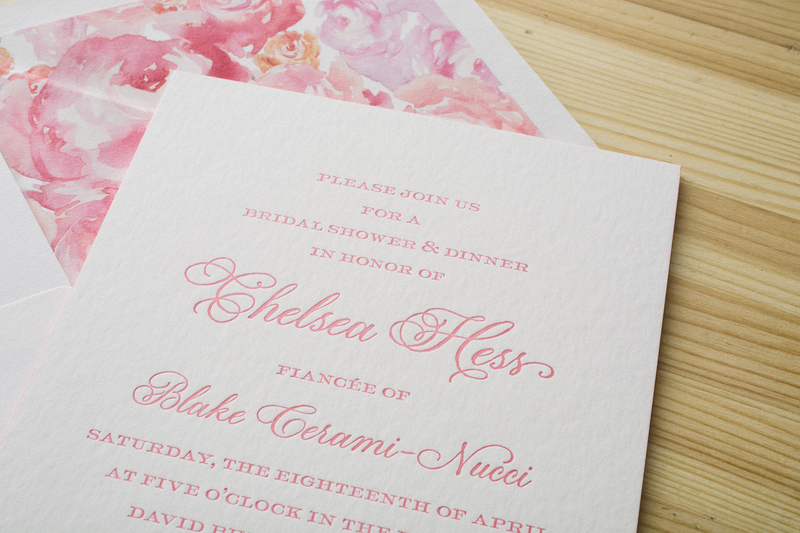 We worked with Shayne at Ink Papery to create these darling invitations for Chelsea’s bridal shower. 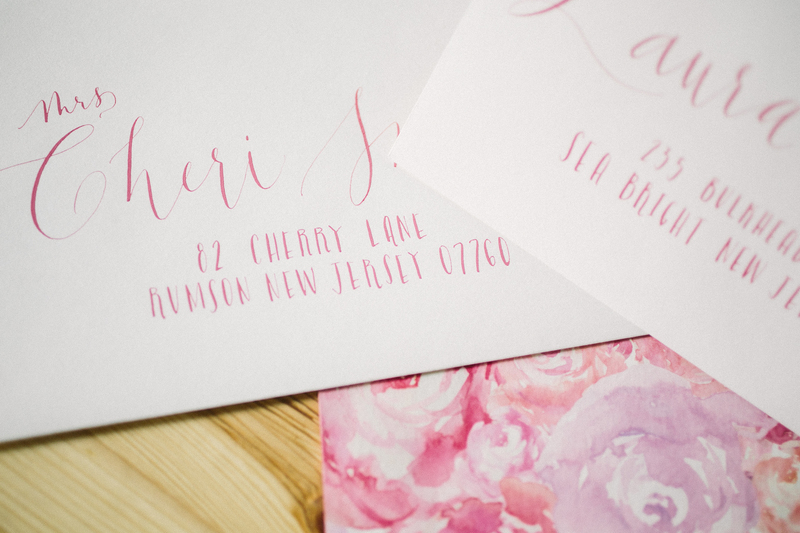 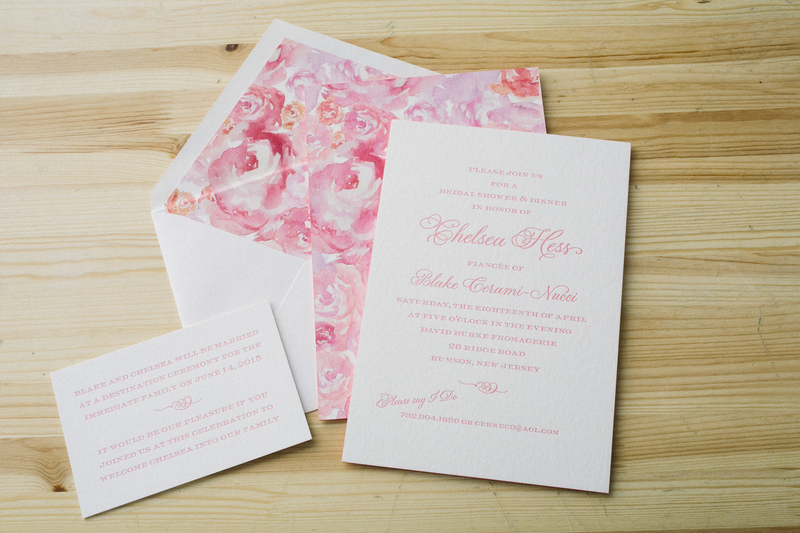 Letterpress printed in pink ink, the invitations feature our Plaza calligraphy font and a gorgeous patterned backing filled with romantic floral watercolors. 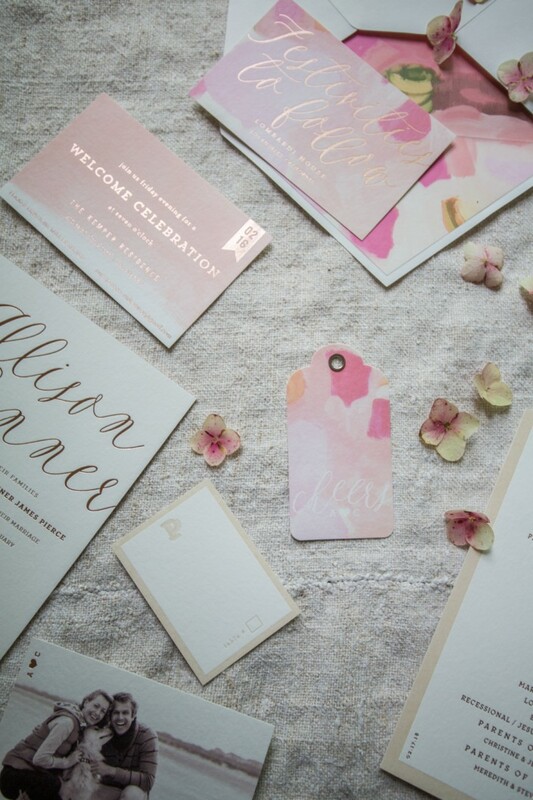 We duplexed the letterpress invitation to the digitally printed patterned backing to make the invitation ultra thick, then edge painted the piece with pretty pink ink as a finishing touch. 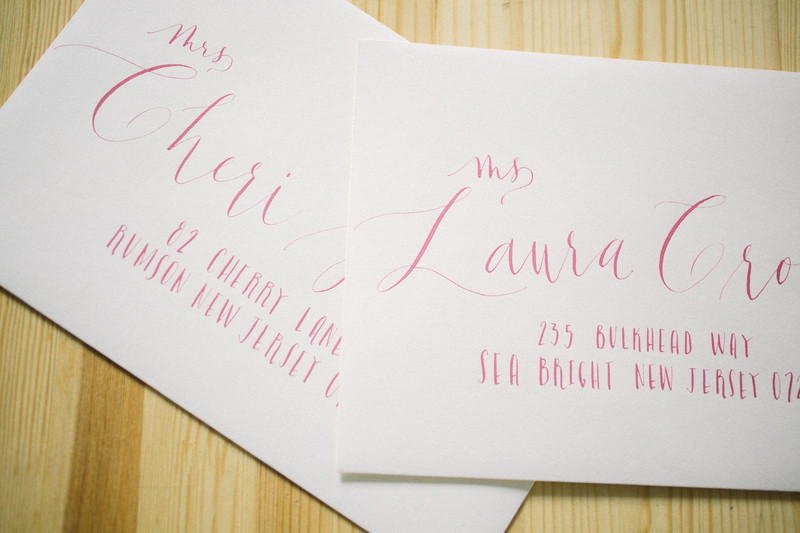 MaryKate Moon addressed the invitation envelopes in a pretty pink ink to match, and also calligraphed matching table cards and place cards for the celebration. 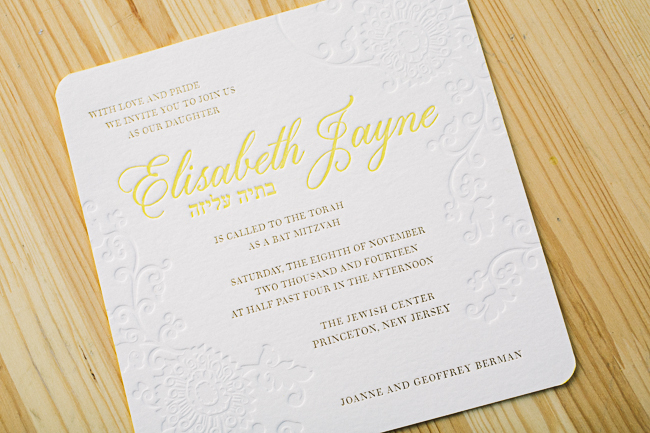 We worked with Jackie at Orrganics to customize our Finley Bat Mitzvah invitations for Elisabeth’s November celebration. 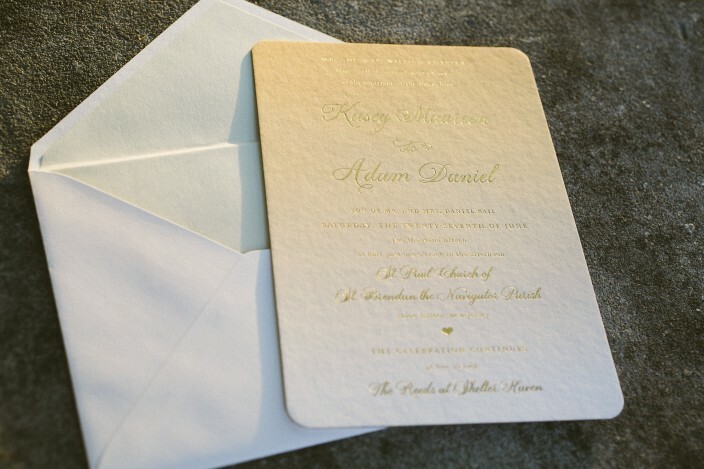 The invitations featured gold matte foil stamping and yolk letterpress ink on our ultra thick 3-ply bamboo paper, with blind debossed floral accents adding a subtle design element. 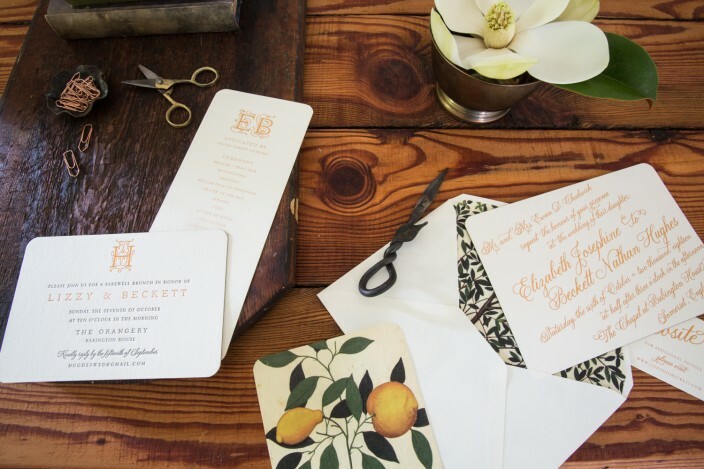 The invitations were corner rounded and edge painted in yolk ink, which coordinated with the pop of yellow on the invitations as well as the patterned envelope liners.